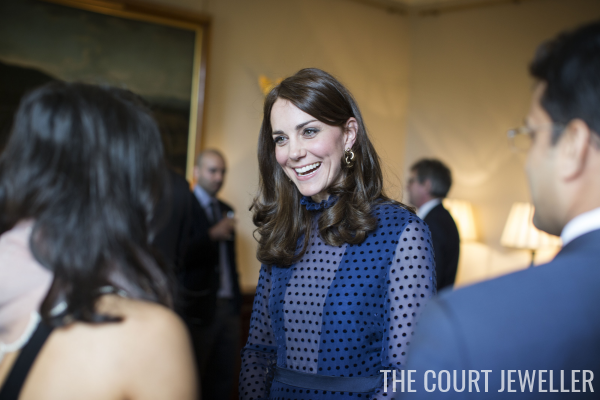 This evening, the Duke and Duchess of Cambridge hosted a reception at Kensington Palace ahead of next week's big tour of India and Bhutan. 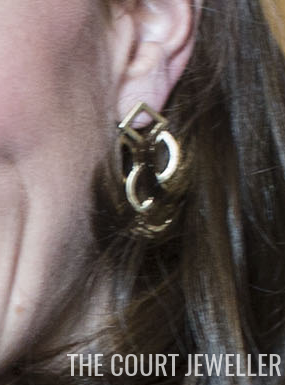 Let's have a look at Kate's earring choice, shall we? 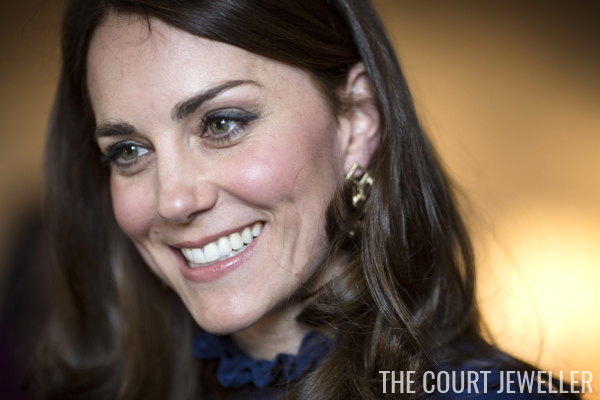 Kate paired familiar earrings -- the "Temple of Heaven" pair by Cassandra Goad -- with her gown. The earrings are 9 carat yellow gold girandoles made up of squares, ovals, and circles. I'm going to sound cranky here -- forgive me! -- but I'm a little confused about the jewelry-hair pairing at this event. The earrings are complicated; like all good girandoles, the various parts are articulated at various levels, so they move delicately as the wearer moves. 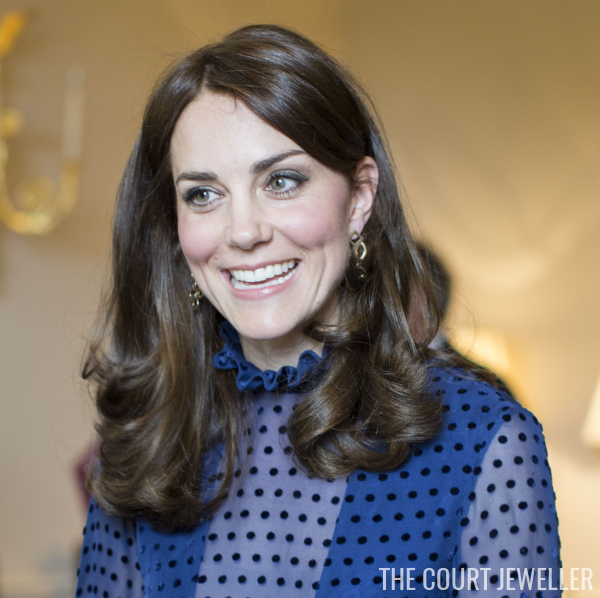 Unfortunately, because Kate chose to wear her hair down and curled at the ends, the earrings mostly ended up getting stuck in her hair. It's not that I think you can never wear statement earrings with your hair down, but in this case, it really kind of spoiled the effect. I'm thinking either Kate needed to choose a different hairstyle or a different pair of earrings: either an updo with the girandoles or a simpler pair of studs or drop earrings with the long, curled hair. Thoughts?